We are dedicated to continually finding the marriage between environmental sustainability and technological advancement with our landscape products. We do this in a professional manner that focuses on the relationships we build with our customers. Envirobond offers sustainability with landscape pathway installation through 100% organic materials used for aggregate and paver jointing. Our unique mixture is designed to prevent future weeds from growing in pavers, works as a natural insect repellant and is water permeable. It has been used by top landscape architects around the world, such as Shanghai Disney, Dodger’s Stadium and Toronto City Hall. Envirobond has a laboratory in its Mississauga head office location. Envirobond also collaborates with Agriculture and Agri-Food Canada. The Envirobond lab technicians are dedicated to testing landscape products and conducting research to evolve the product line in tune with the ever-changing needs of customers and environmental conditions. Envirobond strives to excel using green science to create leading-edge building materials. No matter what the circumstances, you can trust our team to handle themselves with the utmost respect and courtesy. That being said, we also expect our dealers to represent Envirobond with a high degree of professionalism when selling our product to clients. We believe in strong professional business practices. We are not worried about only being on top now, we want to continue to be leaders 20 years from now with our landscape products. To us, keeping the integrity of the environment is equally important as maintaining a long-lasting relationship with our clients. Our friendly and intelligent staff are always willing to answer any calls or questions you may have for our landscape products. Our focus is to build a connection with our clients, not just sell sell sell. Envirobond has a progressive and engaged stance on social media, using modern methods to connect with customers and expand awareness of the Envirobond brand. 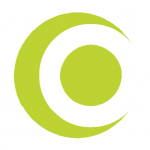 Connect with us on Facebook, Twitter, LinkedIn, YouTube, Google+ and Pinterest. Due to the growing trend of eco-friendliness, many companies advertise their products as bio this or Eco that, which in many cases is a far-reaching statement. This is NOT the case for Envirobond. Our landscape products are made from 100% naturally occurring materials. We also take great strides to ensure that our products are 100% environmentally safe. Research into the properties of Agricultural Sciences for new product development was the foundation of Envirobond. Founder and CEO, Mike Riehm, completed his Bachelor’s degree in Agricultural Science from the University of Guelph, Canada. Watching specific elements of how unique agricultural products perform in nature, Envirobond’s research focused on developing a product line that was green in function and form. By mixing a powdered plant glue with crushed aggregate, Envirobond was initially created as an alternative to asphalt for trails and pathways. This trailway product, when activated by water, hardened up and provided erosion resistance against washouts. Shortly after the success of the trailway product, it was noticed that contractors began using it as a joint filler for large natural stone joints, such as flagstone. This niche market was uncovered as a tremendous opportunity. 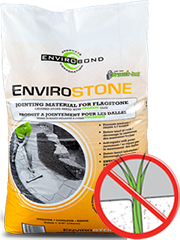 In March of 2001, Envirobond Products Corporation was founded to launch its line of bagged jointing materials into the hard landscaping (known as Hardscaping) industry. EnviroSTONE combines crushed aggregate screenings with our Organic binder for larger joints (such as flagstone etc.). EnviroSAND combines fine jointing sand with the Organic binder designed specifically for paving stone joints. By using the gelling properties of the plant product, the EnviroSAND and EnviroSTONE effectively controlled erosion and prevented the jointing material (typically loose sand) from washing out of the joints. However, because this plant-based glue was organic, it was prone to natural biodegradation. Although the product was incredibly functional and successful, its lifespan became a limiting factor. Immediately, Envirobond began research on developing improvements to prevent this rapid biodegradation. Continual field studies and research projects with professors from the University of Guelph as well as an Agriculture and Agri-Food Canada researcher with expertise in biopolymer and polysaccharide interactions were instrumental in the discovery and advancement of the new technology that put Envirobond on the map. This discovered technology not only improved the longevity of the glue, but it also improved the strength as well as added a level of Natural Weed Deterrence. In 2004, Envirobond filed for its first patent for Organic-Lock. 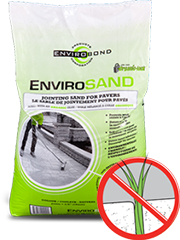 Envirobond now manufactures and sells the EnviroSAND and EnviroSTONE in Canada, USA and Europe. Envirobond has become a staple product for the professional contractor marketplace for the past 10 years. With a continual focus onGreen Science research, Envirobond is pleased to collaborate with Agriculture and Agri-Food Canada. By focusing on Green Science as the key ingredient to all product development, Envirobond is proud to say: “We were Green before Green was cool”. The future will be greener for it!